Tags: Black, Formal, Lehenga, Long Length, Red, Shirt. Black Embroidered Long Shirt with silver embroidery. 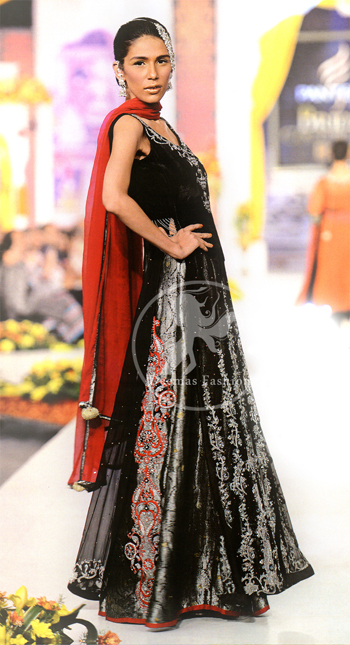 Lehnga got silver and red embroidery with red dupatta.